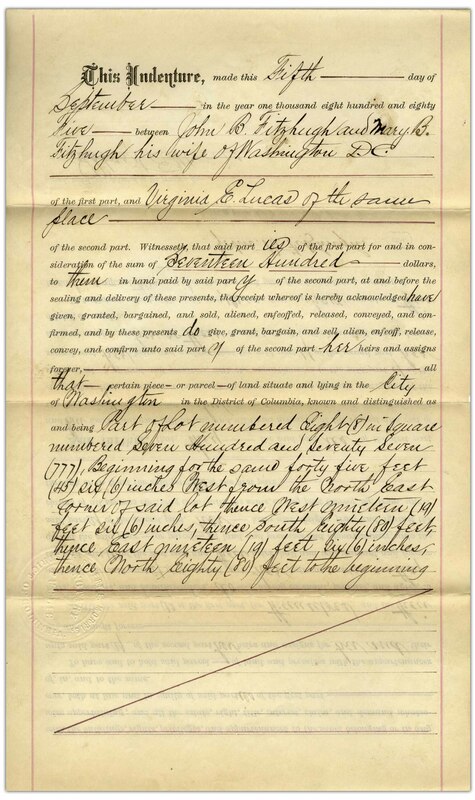 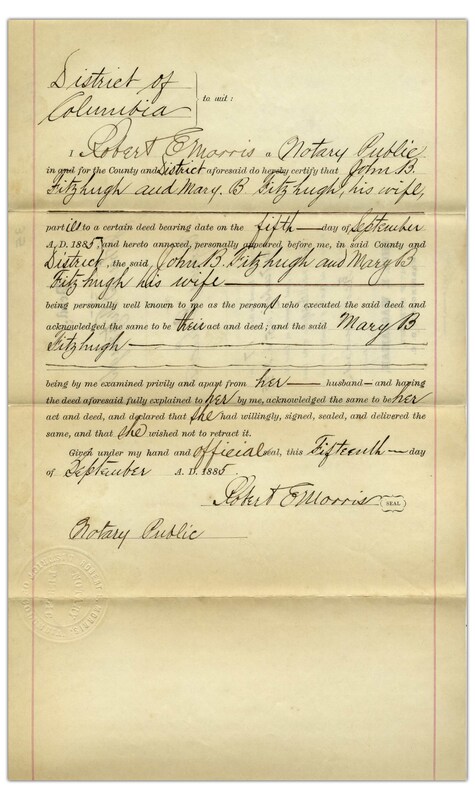 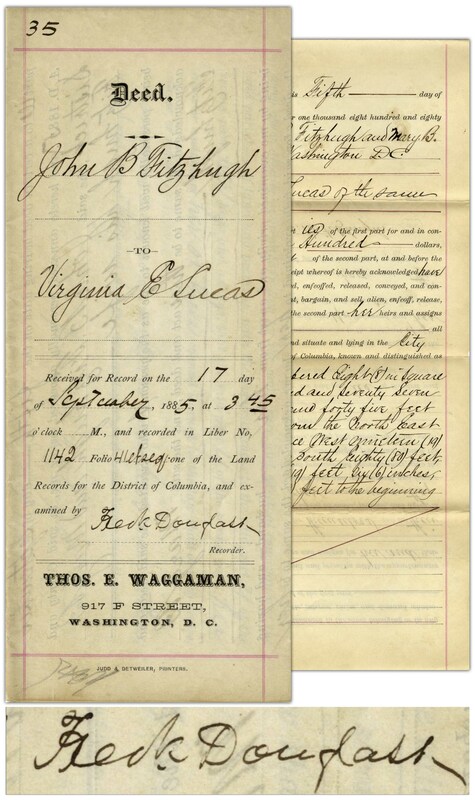 Frederick Douglass document signed in his position as Recorder of Deeds for Washington, DC. 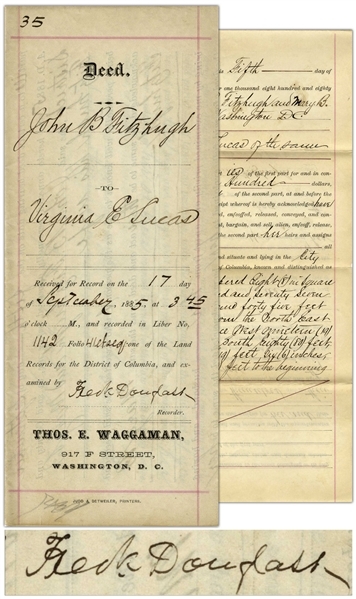 Douglass signs the docketing on verso, ''Fred'k Douglass'' for a deed enacted on 17 September 1885. 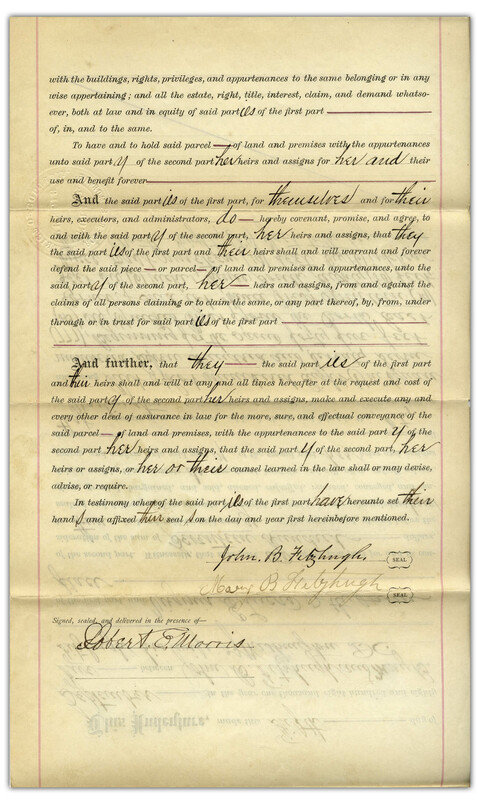 After the Civil War, Republican Presidents appointed Douglass to various government positions including Recorder of Deeds as well as Minister and Consul General to Haiti. 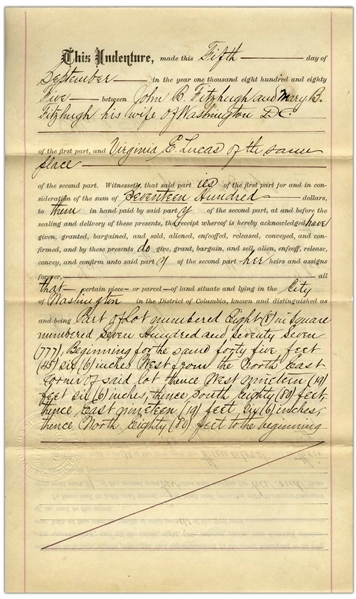 Four page bifolium document measures 8.5'' x 14'' unfolded. Light wear and toning, in very good plus condition.